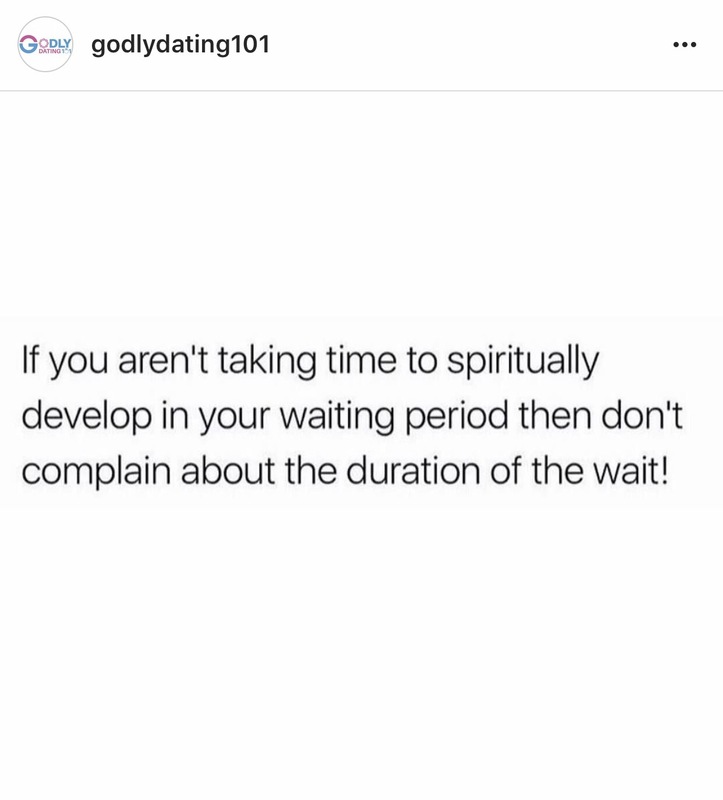 This was a quote posted on godlydating101 on Instagram. Give me a second to rub my feet after that one…. All of my toes were stepped on with the posting of this meme. All. Of. Them! I have been single for over 3 years and I am very vocal about hating every moment of it. I’ll admit, my reasons are very superficial. I have to put gas in my car. I have to wash it and take it for oil changes. I can’t get sporadic foot rubs. You get the point. And like many of my Christian peers, I often ask God why am I single? Where is my husband, Lord? I am getting better at being a single wife. If you haven’t heard of The Single Wives Club you should look them up. It’s all about bettering yourself and taking advantage of your time alone….but I get impatient. I get bored. And honestly, I get lonely. ….then I saw the post…. And this doesn’t just apply to romantic relationships. This quote applies to any and every aspect of life. We love to say, “Wait on God,” but most of the time, He’s really waiting on us. Waiting on us to make up our minds, waiting on us to trust Him, waiting on us to stop trying to fix things ourselves….We want to have our hands on everything, but haven’t even prepared for what we are begging Him for. Then once all this time passes without us getting what we want, we instantly start doubting God or doubting His love for us. Get ready for what you want. Prepare for the next level of your life and believe that its coming. God cannot bless us with more when we can’t handle less. Stop waiting in vain and get ready. I completely agree! I’ve been single forever and though I envy relationships I see on a daily, I do not envy the issues that are associated. So, I use this time to get my relationship with Christ together and focus on me and mine before I have to share. I do long for a spouse, but am I truly ready? Not at all and that’s my reality.